ALEXANDRIA, Va. — The new Category Management Online Training course, developed by the National Association of Convenience Stores (NACS), Impact 21 Group and Ready Training Online (RTO), is now available to convenience retailers and suppliers. The course teaches analytical skills for growing sales with the right product offer, getting more profit dollars per square foot and maximizing foot-traffic productivity inside the store. The online course replaces the two-day, face-to-face seminars that NACS and Impact 21 Group established and have facilitated since 2001. The flexibility of the new interactive online format allows participants to schedule their own learning, at a time that is best for them. It also enables companies to save costs on travel, hiring training personnel and materials and other classroom-related expenses. The experience combines Impact 21 Group’s industry-specific content and RTO’s learning platform, which allows the program to be easily updated and refreshed as new industry information becomes available. 6. Reviewing and evaluating the results. “Competition is tough, and you really have to be in control of what you are doing. The only way to do that is to have a tight grip on your category management process,” said Jeff Miller, 2010-11 NACS chairman and president and CEO of Norfolk, Va.-based Miller Oil Co. The analytics training is designed for marketing and merchandising professionals, operations professionals, retail category managers, supplier sales and category managers, business analysts and small operators who manage all aspects of their retail business. For course details and registration information, visit convenience.org/Solutions/Training-Development. 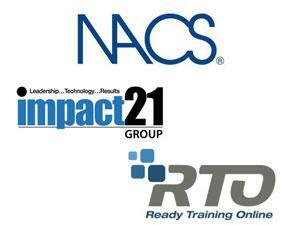 NACS is the international association for convenience and fuel retailing. It has 2,100 retail and 1,600 supplier member companies that do business in nearly 50 countries.